For more information, please visit the MGS website. When the CAM geocoins have been delivered, we will seek permission from Groundspeak or our Reviewer to make an announcement through this event page. In case special permission is not granted, be certain you are subscribed to the CAM 2017 Info Thread to receive the latest CAM updates from the MGS Forums. Thank you again for your patience and understanding! Cache Across Maryland is an annual geocaching tour of the state of Maryland. Ten new geocaches have been placed in various locations throughout the ‘Old Line State’. To attend this event, you must find all ten caches. Be aware that CAM participants logged an average of 1000 miles on their trek around the state last year. The ten CAM caches are generally rated no higher than 2/2 on the ‘star scale’. No special equipment will be needed to find any of the caches. From Western Maryland to the Eastern Shore, Cache Across Maryland 2017 will demonstrate that Maryland truly is ‘America in Miniature’. THE LISTED COORDINATES ARE INVALID! The listed event coordinates are invalid. Each cache will give you information crucial to determining the correct coordinates of the event location. As the date of the event draws near, a method for decoding the event coordinates will be posted here on this event page and on the MGS website. Be sure to add this event to your Watch List to receive updates and announcements. 1. You do not need to be an MGS member to participate in CAM. CAM cache listings, gpx files, and other information will be available for download from the MGS Forums around 8.00am on Saturday, March 25th. The MGS Forums is the only place to find the information until the caches are officially published on geocaching.com on or after May 6th. 2. Find the ten caches placed around the state. Each CAM 2017 cache contains a means of verification – don't forget! Sign the cache's log book and make a trade if you wish. Please refrain from leaving travel bugs in CAM caches. 3. Once you have found all ten CAM caches, send an email to CAM2017Completion@mdgps.org with ‘CAM Completion’ in the subject and your geocaching.com username in the body. This is the only way we are able to determine who receives certificates and geocoins. Please submit your completion email as soon as you complete CAM. 4. Seven to ten days before the picnic, a decoder will be provided to allow you to determine the secret picnic location using your GeoPassport. The event site is somewhere in Maryland. 5. Bring your favorite potluck dish and your completed GeoPassport to the picnic on Saturday, May 6th at 10.00am. Post on the CAM 2017 Picnic Food List topic on the forums to let us know what food items you intend to bring. 6. You may log the individual CAM 2017 caches you have found, and this event, on or after the picnic date of May 6th. Feel free to join us in our CAM Forums and share your experiences with the cache hiders before that date. 7. Vote for your favorite CAM cache when the 2017 Favorite CAM Cache Poll posts on the forums. Validate your CAM Picnic coordinates with certitude. DISCLAIMER: Searching for any of these caches and participation in this event is done at your own risk. 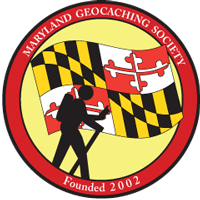 The Maryland Geocaching Society and its individual members can not be held responsible for any injury or damage to property. Please obey all park rules, especially hours of operation, entrance fees, and parking restrictions.